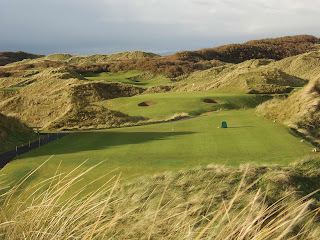 The front nine at Portstewart runs through Thistly Hollow, a dune-infested landscape that is home to possibly the best opening nine holes in Ireland. After what comes before it, the short par three 6th seems like a welcome reprieve, but ‘Five Penny Piece’ is as lethal as it is beautiful. 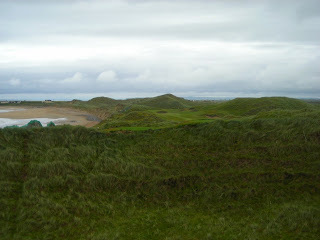 The dunes are tucked around you and the green sits on top of a large mound. Pot bunkers lurk at the front, and sharp slopes will ensure that any shot even slightly off target will be heavily punished, leaving you with an almost possible shot from far below the putting surface – it is quite possible for a second shot to roll all the way back to your feet. 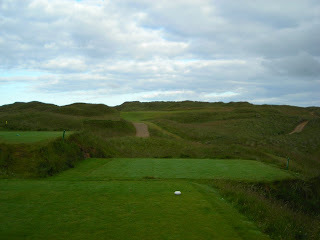 It is Ireland’s answer to Royal Troon’s acclaimed 8th hole, Postage Stamp. 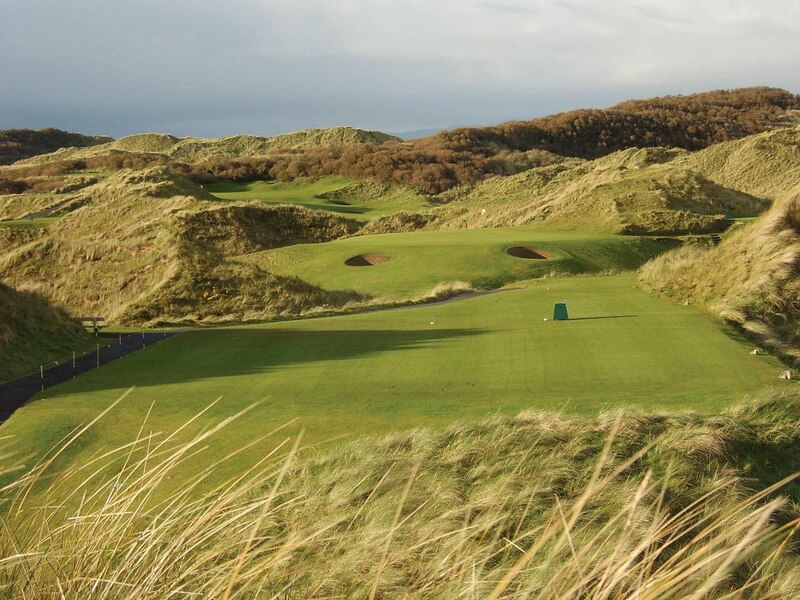 Rosapenna (Sandy Hills) and Donegal are two other excellent links holes, with Rosapenna’s par four one of the toughest you’ll play, firing up to a ridge before dropping the other side to a well protected green. The views will prove very distracting. Doonbeg’s 6th should be played from the back tee as it brings a giant dune into play and shows off the hole spectacularly. It is a straight par four that runs beside the beach and it is hard as hell with deep pot bunkers and not a vast landing area. 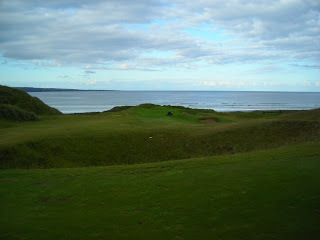 Lahinch’s 6th can’t be ignored either, a brilliant dogleg that hits up to a plateau and then drops to the sea. One danger here is a big, hidden hole in the middle of the fairway that will catch long hitters.